Are you ready to fall in love with a new printer? Here are some money-saving opportunities from Canon, EPSON and HP. Not sure which printer is right for you? Sign up for the HP Latex or Canon PRO-Series webinar or read more out about different applications for aqueous, latex and solvent printers on the blog. This month’s rebate highlights include: Save up to $2,500 on the new HP DesignJet Z6810; Canon is offering up to $1,200 in mail-in rebates on imagePROGRAF PRO-Series; or save up to $2,000 instantly on an Epson SureColor P-series printer. 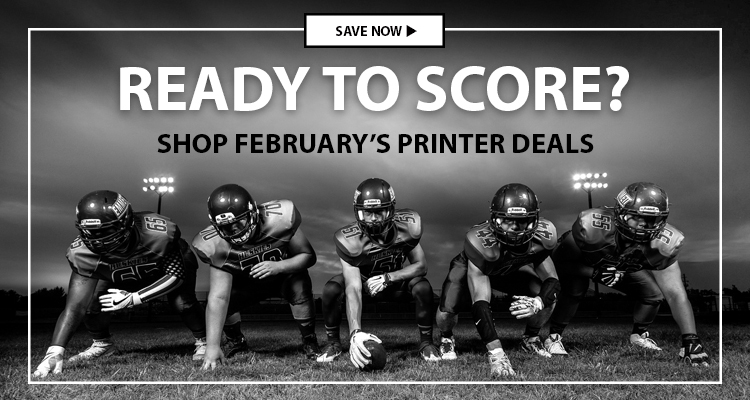 Whether you are looking to retire an old printer or simply recruit more talent for your starting line-up, these rebates will help you save money on your printer purchase. If you attend one of the webinars this month, you will score even more savings. Promotional pricing good through Feb. 28, unless otherwise noted. You can claim you rebate by downloading this form. Does Your Printer Relationship Status Need an Upgrade? 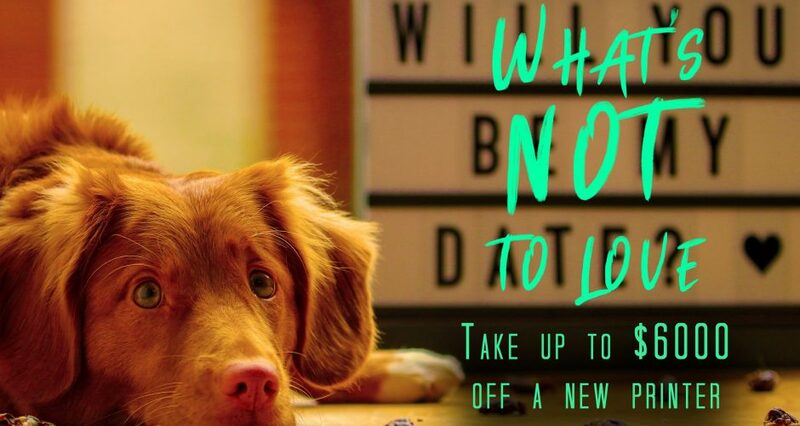 Fall in love all over again with a brand-new printer from our partners at Canon, Epson and HP, who are stepping up with tons of sweet rebates, special offers and pricing deals. The offers listed below are valid through Feb. 28, 2017, unless otherwise noted. 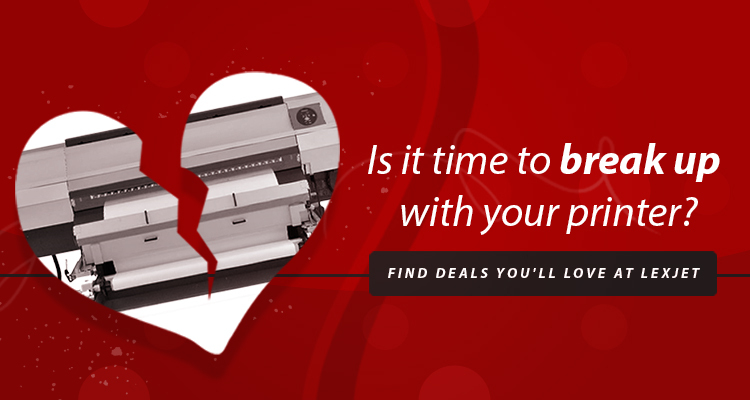 It’s the month of love, and that definitely means we’ve got some printer deals that you’ll fall for. 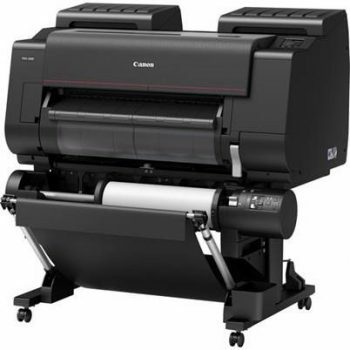 Check out all of the deals, instant and mail-in rebates from Canon, Epson and HP. The special prices and rebates listed below are valid through Feb. 29, 2016, unless otherwise noted. HP DesignJet Cash-In & Trade Up Winter 2016: When you upgrade your eligible trade-in, large-format product, you can get up to $3,000 cash back when you purchase or lease a qualifying new HP DesignJet T2530 36-inch PostScript Multifunction Printer or HP DesignJet T7200 42-inch Production Printer and the HP DesignJet PostScript/PDF Kit or HP DesignJet Roll Upgrade Kit. You’ll receive higher trade-in value if you provide the serial number and return the formatter or motherboard of the eligible trade-in, large-format printer or control panel of the eligible trade-in copier. 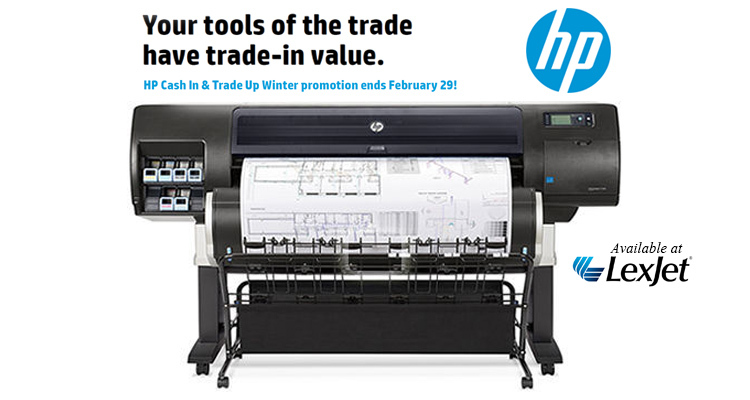 Here’s a sweet deal from HP: During the HP DesignJet Cash-In & Trade Up Winter 2016, now through Feb. 29, 2016, get up to $3,000 cash back when you buy a qualifying HP DesignJet printer. 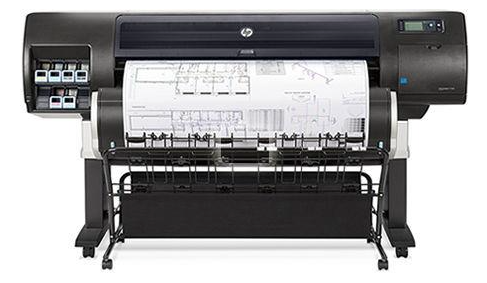 When you upgrade your eligible trade-in, large-format product, you can get cash back when you purchase or lease a qualifying new HP DesignJet T2530 36-inch PostScript Multifunction Printer or HP DesignJet T7200 42-inch Production Printer and the HP DesignJet PostScript/PDF Kit or HP DesignJet Roll Upgrade Kit. You’ll receive higher trade-in value if you provide the serial number and return the formatter or motherboard of the eligible trade-in, large-format printer or control panel of the eligible trade-in copier. Purchase or lease dates must be between now and Feb. 29, 2016, and claim form and proof of purchase, including serial number on the new printer must be submitted by March 31, 2016. If you’re returning the formatter, motherboard or control panel, it needs to be shipped by April 30, 2016. You can save an additional $200 when you add a qualifying HP Care Pack Service to your purchase. Call a LexJet print specialist at 800-453-9538 to learn how to trade in and get cash back, and read more about the qualifying machines at hp.com/go/cashin2.